Bridalveil Creek Campground in Yosemite National Park offers excellent camping facilities, with a wide range of amenities, including picnic tables, fire pits, drinking water and numerous fun activities nearby. FIRST COME, FIRST SERVED. 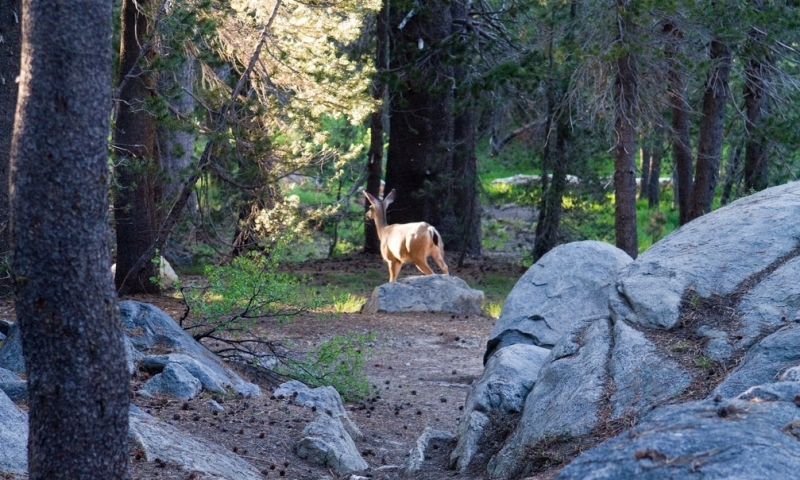 Bridalveil Creek Campground Yosemite provides a wonderful camping experience, with everything you need right there. You can use this campground as your home base for many unique adventures within the park. Bridalveil Creek Yosemite camping is easy to access. Take Wawona Road south from Yosemite Valley, turn left onto Glacier Point Road and drive 7.5 miles. Yosemite Bridalveil Creek operates as first-come, first-served campground and doesn’t accept reservations. Yosemite Bridalveil Creek Campground is close to a number of great family activities. To get some amazing views of the valley and Half Dome, drive to the end of Glacier Point Road from the campground. You’ll see Vernal Fall, Nevada Fall and Cloud’s Rest as well. There’s a gift shop here where you can get a snack or souvenirs. The Four Mile Trail offers great hiking. You can take the 4.8-mile one-way trek to Yosemite Valley. Go further on the Panorama Trail for a marvelous close-up view of Illilouette Fall. The McGurk Meadow trailhead is less than a mile west of the Bridalveil Creek Campground. From here you can embark on two different hikes, one of 4 miles and one of 7 miles roundtrip. If you’re here in July, the wildflower blooms will invite your photography skills to come into play. Mono Meadow is about 2 ½ miles from the campground. You can start in the Mono Meadow parking area and cross the meadow over creeks and logs to view Mount Starr King, Half Dome and the Clark Range. It’s a strenuous hike of 3 miles roundtrip, so be prepared.